Most of us are covered by some variety of health insurance. While the concept of health insurance emerged in the 1920s, it wasn’t until companies began offering it as an employee benefit in the 1940s that it became common. Back then, health insurance was just “health insurance.” But now, insurance companies like to differentiate plans with the use of acronyms. First it was PPOs, then HMOs and now EPOs. Gone are the days when health insurance was simple – you paid a deductible, and the plan paid most of the remainder until you reached an out-of-pocket maximum. Usually your employer paid most, if not all, of the premium. But health care costs have increased dramatically as new treatments and procedures emerged. To manage rising costs, preferred provider organizations -- PPOs -- were introduced. These plans provide a discount if you use certain physicians. Now, two new plans -- health maintenance organizations and exclusive provider organizations -- require us to see certain providers, but have several differences. HMOs require that you choose a primary care physician -- a PCP -- from a list of contracted doctors. HMOs stress preventative medicine, so annual physical checkups are included in the plan as well as vaccinations. All medical procedures, lab tests and hospitalizations require prior PCP approval to be covered. If you need specialist care, the PCP issues a referral or authorization for you and requires a small co-payment for office visits and other services. With the exception of emergency care, any services received without your PCP's approval aren't covered. For emergency care coverage, your PCP must be informed within a short window of time. 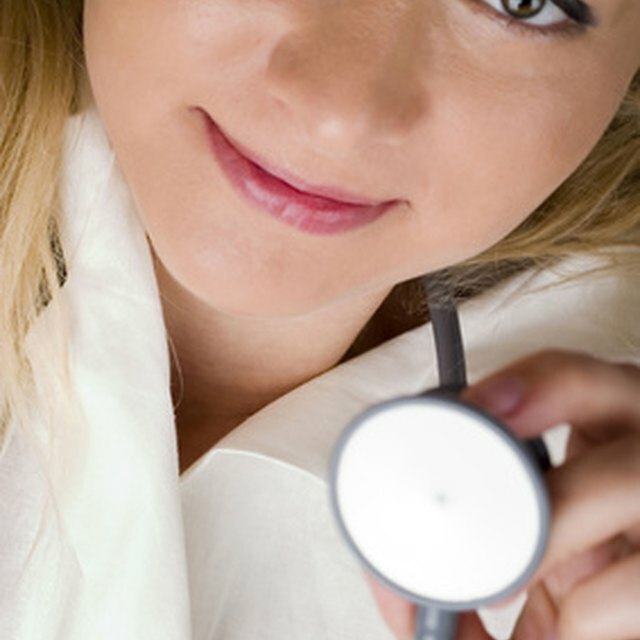 There are no deductibles, and major expenses are usually covered at 100 percent. In many ways, EPOs are more similar to PPOs than HMOs. Unlike HMOs, most EPO plans don't require you to choose a PCP, nor do they require a referral to see a specialist. But you must choose physicians who are in the plan; out-of-network physician visits aren't covered. EPOs sign contracts with large groups of doctors and hospitals for discounted rates. These savings are passed on to you in the form of a lower premium. Emergency care rendered at a non-plan hospital may be covered only at a reduced reimbursement rate, if at all. Plan details vary, but like traditional insurance, deductibles and out-of-pocket maximums apply. Some companies allow you to choose plans cafeteria-style, with varying out-of-pocket costs for different monthly premiums. EPOs premiums are generally, but not always, more expensive than HMOs, but less than traditional PPO insurance. What Do "Co-Payment" and "Coinsurance" Mean? Before selecting any HMO or EPO plan, check the physician roster, including specialists to ensure that your physician is on board. HMOs tend to contract with more physicians, particularly in urban areas. If you travel, particularly internationally, HMOs are also more likely to fully cover you in an emergency than an EPO. But EPOs offer more flexibility in physician selection, particularly for specialists. Estimate your annual cost by reviewing the number of anticipated annual doctor visits. Co-payments for primary care doctors and specialists may be different. Since EPOs generally require deductibles and high out-of-pocket maximums, HMOs may provide greater peace of mind because most services are covered at 100 percent.